with an essential oil experience. It's a technique for YOU! A Workshop where you will learn how to give an Aromatouch Technique using specific essential oils in a specific order to your loved one, partner or child. It's simple, easy and very effective and creates the touch/connection that we all need. A great way to reconnect with those you love and to care for your health naturally. 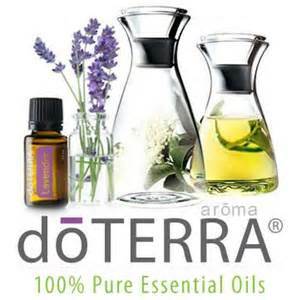 AND 8 pack Aromatouch doTerra kit-15 mil bottles = WOW! PS If you have a massage/reiki table, please let Michelle know! Disclaimer: This technique is an essential oil application that is intended for personal use (in homes and on family or close friends) and not for monetary benefit. Anyone who uses it for non-personal use or for monetary benefit assumes all responsibility for that use and must comply with the laws of their state. Join Connecticut Yogini Rosa Esposito for a morning program featuring yoga, healing oils and centering meditation the morning following the Aromatouch Technique workshop or come only to the Sunday workshop. Rosa believes in the service of teaching yoga. As a veteran teacher of teens for more than two decades, Rosa is a graduate of Basil Yoga 200-Hour Teacher Training. She has studied the Chakra system with Anodea Judith at Kripalu and the Open Center in NYC. Additionally, she has training in several schools of meditation: Centering Prayer and Mindfulness & Vipassana Insight Meditation.